What do our methods actually do if they cannot depict reality as it is? This is not a new question in anthropology. We have a whole generation of anthropologists writing about and in the tradition of what has been named respectively “the crisis of representation”, “the literary/linguistic turn”, or “the Writing culture debate” after the seminal edited volume by Clifford and Marcus (1986). Central to this crisis/turn/debate was the concern that in their monographs, anthropologists represent culture as something stable in the world and throughout history. It was argued that they exercised power in the way they fix culture in their texts by using their authority as an eye witness to make claims about the truth of the Nuer, the Trobrianders, the Azande, to just mention three prominent examples. The production of (better) ethnographic accounts became the focus of Writing culture by pointing to the “partiality of cultural and historic truths” (Clifford 1986, 6) and the situatedness of textual production and representations. As a result, new ways of including both the ethnographer’s positionality and their subjects as capable of speaking for themselves in an ethnographic account were explored: poems, auto-ethnographies, dialogic writing, collaborative research projects. If the truth about the world looks different in different places and from different perspectives, we have to account for this in our texts by means of new and innovative writing styles in order to tell at least partial truths (see for example Abu-Lughod 2005; Adams and Jones 2008; Fabian 1990; Rosaldo 2013). Here’s where my blog comes in. During my fieldwork, this blog was a way to let my interlocutors gain an understanding of what I am interested in. 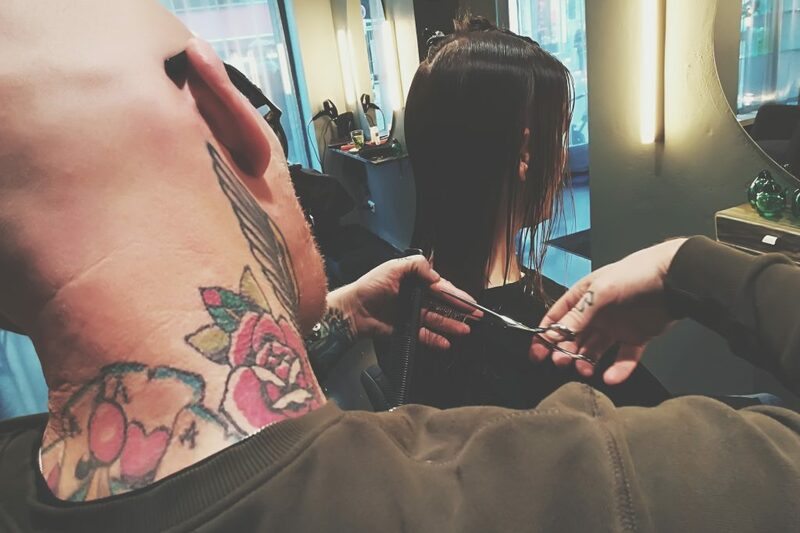 After I had published the first descriptive post, the employees of Mastercut became more aware of the fact that my interest goes beyond the “front stage”-encounter between hairdressers and customers. As a positive effect of this, they could better apprehend my position as an observer and sometimes explicitly asked me to not include certain instances in my analysis. Additionally, the posts opened the possibility to further talk with my interlocutors about observations that I wrote about. They could find pleasure in my description of the characteristics of a person such as Reiner’s grumpiness, contest my choice of words such as the use of “middle-class” to describe the hairdressing tools at Mastercut, or explicate their motives for acting in a certain way. In sum, this blog served as a tool to make my research transparent to my interlocutors and include their knowledge as experts in the field of hairdressing. More recently another turn happened: The ontological turn was mostly brought forward by anthropologists centering their work around political claims of indigenous groups in the light of global ecological crises (Kohn 2015). This strand of work emphasizes the importance of attending to the constitution of worlds in relations between humans and their non-human cohabitants such as “earth-beings” (de la Cadena 2010), the different creatures in a forest ecology (Kohn 2013) or sacred rock formations (Povinelli 2016). It is not one world and one reality anymore on which different actors may have different perspectives. Instead, actors, human and non-human, co-construct different worlds. In order to make sense of this claim, I will draw on a tradition of Science and Technology Studies that is in conversation with the ontological turn literature. Mol (2002) argues that reality is not out-there, ready to be found and looked at, but “ontologies are brought into being, sustained, or allowed to wither away in common, day-to-day, sociomaterial practices” (2002, 6). This does not mean that we all live in different fragmented worlds, but that objects enacted as multiple are partially connected. They are more than one, but less than many in the way that different versions of an object are coordinated – made compatible, translated into each other, spatially separated – in practices. What happens to our methods if we take the claim seriously that not only the truth about the world multiplies but reality itself does so, too? Law’s (2004) answer: the relations between methods and the realities they aim to capture become even messier, because method itself engages in performing the realities it pretends to discover. The solution to this “problem”? Once again, we have to find ways of how to do research and write texts that do justice to our even more slippery objects of study. In this regard, Mol (2002, 83) proposes a “praxiographic shift”, which entails an attention to objects while they are enacted in practices. Law suggests several strategies to get a hold of multiplicity. One relates back to the above presented ontological turn literature, when he attends to how Australian aboriginal cosmologies, in contrast to what he calls “Euro-American method assemblages”, allow for multiplicity: “It achieves this because there is no universal or general, and instead everything is relatively specific, relatively ‘local’, enacted at particular places on particular occasions” (Law 2004, 137–8). This photo lets you look over Felix’s shoulder while he is cutting the hair of a customer. It gathers many realities in and of hairdressing: The reality of a body that has to sit upright and withstand the pulling on a strand of wet hair in the back of its head; of another body with an inclined head and a twisted hand; of a well-oiled and ground scissor – all for the purpose of ensuring a precise cut. Allegory helps you to apprehend realities materially, corporeally, and emotionally, as Law (2004, 97) argues and to which I would like to add an aesthetic apprehension. This is the reason for my use of photography. The photos aim at “finding ways to make room for other kinds of realities that we discover ethnographically without domesticating them as human, social, cultural, or linguistic constructions” (Stevenson and Kohn 2015, 52). The head becomes the site for the hairdressers’ aesthetic intervention: They are concerned with creating what they call “a look”, often even “a natural look”. Similarly, does the photo present the encounter between Felix and his customer as an aesthetic photo motif (as I would like to believe): Not just the result, “a look”, is supposed to be beautiful, but the act of creating this look can be appreciated in aesthetic terms, too. The photo transports a concern with aesthetics in my field. This is a specific kind of aesthetics: of an interior design consisting of motley elements such as a crucifix amidst golden animal figures on the artificial fireplace in front of a wallpaper with tropical birds; of Cedric’s clothing style combining for example tight animal print trousers with a Mickey Mouse shirt, big golden hoop earrings and rainbow-colored hair; and of the hairdressers’ sexual jokes and innuendo turning most encounters into a flirt – never fully serious, always with a wink. This aesthetic, which has been described as camp or baroque, consists of breaches and cracks, of a playful arrangement of elements that ridicules naturalness through an exaggerated imitation: “It fosters a sensibility for the falsity that is at the heart of much that presents itself as natural and it incites its adepts to unmask the natural and expose it as yet another form of make-believe” (van de Port 2012, 865). With my photos I intend to make use of a register that I encountered in my field. A camp style that questions singular essences translates into the photo as an allegory which gathers partially connected realities. While not necessarily the same, both the aesthetics of my field and of my photos are committed to non-coherence. Besides transporting a concern with aesthetics of my field, my photos aim to make apparent my claim about the made-upness of the natural body by pointing to its enactment with the help of learned techniques and embodied practices as well as necessary tools and products. This theoretical claim brings back a concern with representation into my photos – not in order to fix a single reality in them, but to think about “the aesthetics of exposing the lively life of things” (Puig de la Bellacasa 2011, 92) – of scissors, body postures, wet hair, and twisted hands. My photos, and the above presented photo in particular, convey a commitment in my research to what Puig de la Bellacasa calls “neglected things”, that is “participants and issues who have not managed or are not likely to succeed in articulating their concerns” (2011, 94). By looking over the hairdressers’ shoulders and zooming in details at the salon, I intend to generate care for these things and to point out how they partake in caring relationalities in hairdressing. Blogging during and after my fieldwork as well as taking photos at the hairdressing salon are methods that explore the possibility to engage with multiplicity. While interpretation and representation tend to make a subject singular (Starthern 2002, 90), my blog and my photos aim for the opposite. The blog gives my interlocutors a say as experts of their practices, that is the hairdressing practices. The photos, by “assembling neglected things” and gathering non-coherent realities, leave open a space where not everything is set and clear: – “when all is said and done – whether there seems too much or too little interpretation – these puzzles in the pictures remain” (Strathern 2002, 90). Abu-Lughod, L. 2005. “Writing against culture.” In Anthropology in theory: Issues in epistemology, edited by H. Moore, and T. Sanders, 466–79. Malden: Blackwell. Adams, T. E., and S. H. Jones 2008. “Autoethnography is queer.” In Handbook of critical and indigenous methodologies, edited by N. K. Denzin, Y. S. Lincoln, and L. T. Smith, 373–90. Thousand Oaks: Sage. Clifford, J. 1986. “Introduction: Partial truths.” In Writing culture: The poetics and politics of ethnography, edited by J. Clifford, and G. E. Marcus, 1–26. Berkeley, Los Angeles, London: University of California Press. Clifford, J., and G. E. Marcus, ed. 1986. Writing culture: The poetics and politics of ethnography. Berkeley, Los Angeles, London: University of California Press. de la Cadena, M. 2010. “Indigenous cosmopolitics in the Andes: Conceptual reflections beyond ‘politics’.” Cultural Anthropology 25 (2): 334–70. Fabian, J. 1990. “Presence and representation: The other and anthropological writing.” Critical Inquiry 16 (4): 753–72. Kohn, E. 2013. How forests think: Toward an anthropology beyond the human. Berkeley, Los Angeles, London: University of California Press. Kohn, E. 2015. “Anthropology of ontologies.” Annual Review of Anthropology 44 :311–27. Mol, A. 2002. The body multiple: Ontology in medical practice. Durham: Duke University Press. Povinelli, E. 2016. Geontologies: A requiem to late liberalism. Durham: Duke University Press. Puig de la Bellacasa, M. 2011. “Matters of care in technoscience: Assembling neglected things.” Social Studies of Science 41 (1): 85–106. Rosaldo, R. 2013. The day of Shelly’s death: The poetry and ethnography of grief. Durham: Duke University Press. Stevenson, L., and E. Kohn. 2015. “Leviathan: An ethnographic dream.” Visual Anthropology Review 31 (1): 49–53. Strathern, M. 2002. “On space and depth.” In Complexities: Social studies of knowledge practices, edited by J. Law, and A. Mol, 88–115. Durham: Duke University Press. van de Port, M. 2012. “Genuinely made up: Camp, baroque, and other denaturalizing aesthetics in the cultural production of the real.” The Journal of the Royal Anthropological Institute 18 (4): 864–83.